90 to 95% Sémillon, 5 to 10% Muscadelle and Sauvignon. 18 to 26 months depending on the year, 50 to 55% in new barrels. Varies a great deal depending on the vintage, but on average is about 6,000 cases (however, none was made in 1977, 1993 and 2012). After a rather mild winter, bud break was early; it was followed by a uniform flowering in the first week of June, helped by the relatively high temperatures. As always, the impact of the weather on the vineyard was the primary concern, and the teams worked throughout the year to ensure that the grapes reached maturity in perfect health. The onset of ripening occurred over two periods, first in late July and then again after 15 August, creating differences in the ripeness of the bunches on the same vine. Beautiful sparkling yellow colour, already deepening, but still with a few green glints of youth. The nose is delicate, with scents of wild flowers. There are also notes of candied citrus fruit and melon. The wood is well-integrated. On the palate, the attack is subtle and the wine then develops substantial volume. It reveals a pleasant acidity, with a good balance between freshness and richness. Citrus fruit is again present, with notes of orange. The long, fresh finish develops classic notes of candied apricots. While having a good potential to improve with age, this is also a wine that can be enjoyed relatively young. The very wet, cold winter resulted in work in the vineyard being considerably delayed; bud break was late, and flowering was three weeks later than the average for the last 50 years; the changeable weather resulted in some flower abortion and uneven grape size, and therefore in lower potential yields than usual. Then at the end of June, the weather suddenly changed, and it was as if we were in the middle of the summer, with no transition, although there were a lot of localized storms. The harvest period put our technicians in a cold sweat: rain, sun, and a long, slow ripening, which became difficult to manage with an “explosive” outbreak of botrytis in late September! Fortunately, the sorting teams were very efficient despite the difficult harvest conditions. The selective picking continued to the end of October with excellent botrytisation. Beautiful, still youthful colour. Lovely nose of acacia flowers develops against a slightly woody background. The palate offers the volume and richness characteristic of a sweet wine, continuing into a well-balanced finish of candied and fresh fruit. The overall impression remains fairly ethereal and floral, making it a perfect accompaniment to an exotic fruit sorbet, or a grilled lobster, or simply a delicious aperitif to enjoy among friends. The beginning of the vines’ cycle was complex to manage, being characterized by relatively low rainfall from January to March and very little rain in April. The morning dew combined with low humidity and high temperatures created favourable conditions for the development of powdery mildew (a cryptogamic disease), requiring extreme vigilance in the vineyard. There was sporadic rain in August and September, this humidity was conducive to the growth of botrytis, and was followed by a beautiful Indian summer which enabled us to wait for optimal ripeness and to spread the harvests over an extended period (with 7 selective pickings) until 2 November. Beautiful, already intense, golden colour. The nose presents a delicate woodiness followed by notes of honeysuckle and acacia flowers. The palate rapidly becomes full-bodied and generous, mingling notes of residual sugar and freshness. The fruit is discreet but the balance is perfect. The finish is long and lingering, accompanied by a hint of bitterness, that helps to enliven the flavours. Due to fairly high rainfall, the first part of the vineyard cycle, up to mid-June, was complex to manage; the rain disrupted the flowering period and resulted in small amount of flower abortion and uneven grape size. July, August and September were then very dry (with an average of 20 mm of rain) with excellent daytime temperatures and cool nights, which is ideal for a slow but complete ripening of the grapes. However, the dry weather resulted in smaller grapes, and the volume of the harvest was reduced. Bottling began at the end of March 2013. Strong colour. Very floral, vivid nose, light, well-integrated woodiness. The palate is fresh, elegant and complex with a lively, slightly spicy finish, and some notes of exotic fruit. Excellent length. The start of the growing season was difficult to manage. Our technical team had to show great vigilance in order to protect the vines. Good weather finally arrived in June, followed by a drought interspersed with some light rainy spells in July, August and September. Relatively high daytime temperatures and cool nights allowed a long, slow ripening. A long period of ageing in oak barrels was needed to round off this very powerful wine. Citrus and fresh fruit aromas combine with candied apricot and green almonds on the nose. Great length on the palate matched with lively, fresh fruit, and a strong impression of honey and acacia blossom. During the winter, the frosts were very beneficial and restful for the vines. However, these were followed by some spring frosts that were harmful for the young buds and unfavourably affected yields. The growth cycle was quite difficult because of a constant alternation between sun and rain. We had to wait until the beginning of September for stable weather conditions. Rich, smooth and liqueur-like wine which finishes on light, fruity notes. The aromas are still quiet reserved, with subtle woody notes. A cold, rainy winter, early budburst and very mild spring temperatures stimulated the vines’ growth. This was followed by a moderately hot summer that continued until August without excessive temperatures. Fine weather stabilized in early September, ensuring that the grapes were able to ripen correctly. Very bright, golden colour. Very candied nose with delicious notes of figs and apricots. Rich, full-bodied palate with intense notes of candied fruit and excellent length. The autumn/winter period of 2005-2006 was exceptionally dry, which was then compensated for by heavy rain during March. There was fine weather and warm temperatures from April to July; August was cooler but the sun returned at the beginning of September to complete the ripening process. Beautiful pale golden colour with hints of orange. A fairly dense nose with a delightful combination of flowers (honeysuckle and acacia) and candied fruit. Starts subtly in the mouth and then intensifies with notes of honey and a long fruity finish with good freshness. 2005 was marked by drought. Only 127 mm of rain fell during the winter, and after an April with slightly more rain (129 mm), the dry weather began again at the end of May. The summer was very hot in June and July, then cooler in August and September, which allowed slow ripening and good balance between body and freshness. Beautiful intense golden colour. Pleasantly fresh bouquet, with jammy notes and candied fruit (apricots, figs). Round and smooth on the palate, with candied notes and a long finish. 2004 was a stormy year up until July with three heavy hail storms including a very violent one on 21 July. The annual rainfall was within the norm for the Bordeaux region and June and September were rather cool. Intense, golden yellow colour. Discreet on the nose, but when aerated, the aromas are released. Fresh pear and pineapple. The same aromas are clearly present on the palate. Lively, fresh attack and a long finish. The year was marked by low rainfall and a heat wave in the first two weeks of August, with temperatures above 40°C. This made for an exceptionally early vintage. A powerful, rich, concentrated vintage. The nose is intensely fruity with lots of spice; the palate combines elegance and richness. A good sugar/spice balance suggests that is suited to long ageing. Before bottling, it retains its exceptional power with notes of vanilla and an amazingly long finish. At the beginning of the year the weather conditions were average but improved towards the ripening period. Fortunately, the colder than usual July and August were followed by a superb September with favourable conditions for the development of botrytis: dry, hot and sunny in the day, cool in the evening. The first grapes affected by noble rot were picked on 12 September, and the first selective harvests went on until 2 October under perfect conditions. The selective picking started again on 15 October. The beautiful weather was back, resulting in an outbreak of botrytis which produced rich, concentrated, fruity juice for the Sauvignon and Muscadelle. The last grapes were picked on 5 November. The nose offers a lot of freshness with citrus notes dominated by grapefruit. In the mouth, the wine maintains a very fresh style. Its moderate richness in sugar (compared to 1999, 2000 and 2001) makes this a lighter vintage full of finesse and elegance. The combination of the dried grapes from the first selective harvest and the botrytis at the end of the harvests gave the result we had hoped for. This was to characterise this very fine vintage. Nothing in the year’s weather suggested such great results. The harvests began in mid-September with a preliminary sorting. And then the perfect scenario played out: light rains came on the weekend of the 22-23 September, and botrytis was absorbed by the grapes, causing rapid and uniform concentration, enhanced by a warm and windy Indian summer. The vineyard went from a golden yellow to botrytis violet in just three days. Under the action of the eastern wind, the botrytis wrinkled and contracted the grapes, concentrating the juices. Harvesting was quick and focused, with a single picking for certain plots, an unprecedented phenomenon for Rieussec. In the early tastings, the nose is powerful and dominated by apricot and candied melon notes. In the mouth the attack is delicate and full of finesse. It then develops in volume and an amazing sensation arises in the mouth. The balance between acidity and residual sugar is so perfect that the sugar totally disappears. This is very rare and only occurs in exceptional Sauternes. A tiny but high quality yield for this vintage. The fine early harvest, with well-developed botrytis on ripe grapes, was unfortunately followed by rain and so the later harvest could not produce high quality wines. In the end, only the first rounds of selective picking were kept, which made this vintage the lowest volume since 1993 (when there was no Grand Vin due to insufficient quantity). Deep, golden colour. The complex, balanced bouquet has fine candied aromas. This delicious wine has the same concentrated, balanced expression on the palate. An early year that required us to maintain a brisk pace during the growing season. Risks of disease were present due to the alternation of great heat and humid conditions. Harvests of the first sweet grapes began on 31 August, with excellent concentration. Selective picking began again on 4 October and lasted until 15 October. Concentration was superb, and we had to harvest the grapes quickly. The result is a vintage with a russet-tinged golden colour, a complex bouquet and a powerful , very concentrated, magnificent liquorice palate. The year was very classical, in terms of weather, with a rainy and rather mild winter and a dry and extremely hot summer. The warm weather in August enhanced the richness of the grapes, which had thick, robust skins. Botrytization led us to begin harvesting on 22 September, with excellent concentration for the first selective pickings. The vintage has a deep straw-yellow colour, and a complex, aromatic bouquet, with candied fruit and honey aromas. It has a full-bodied, balanced palate with a very elegant finish. Once again, this vintage is very different from the classic pattern. 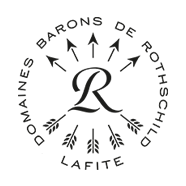 Tropical weather in the second half of August caused the rapid development of noble rot, and we began harvesting on 27 August, which was so early as to be almost unheard of in Sauternes. Selective picking continued until 3 November, virtually without a drop of rain. The harvests were long and difficult, because the vines had to be carefully cleaned. The result is a very fine, silky vintage with good acidity, superb concentration and a diverse bouquet. It is a powerful wine with a structure that promises a very long life. The lead up to the harvests was perfect in Sauternes, with a very dry early September, bordering on drought. Alternating with foggy mornings, this led to the development of excellent botrytis. The musts were very rich, clean and perfectly healthy. Well structured, this is a vintage that may be aged for a very long time, with excellent purity of fruit. It has an open, expressive bouquet. The palate is elegant, full-bodied and balanced with a smooth, well-coated finish.